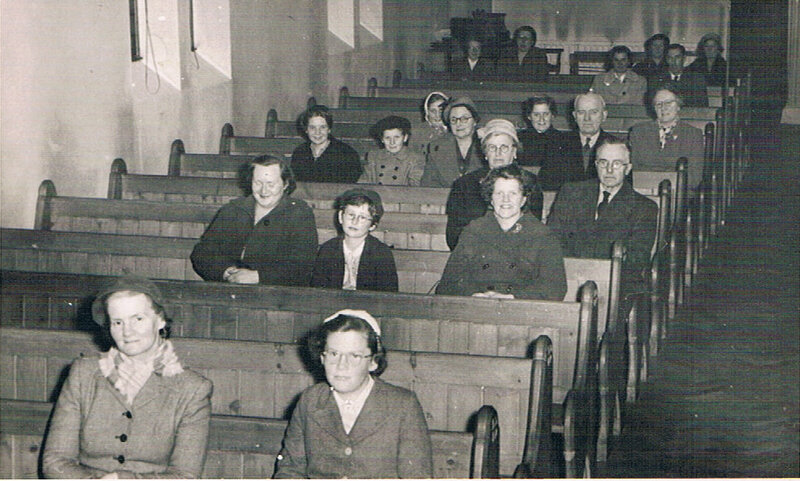 I have found this photograph taken at a service in St Cuthman’s Church. Although I am not certain of a date, I would hazard a guess at it being during the late 1950s. The Vicar was the Reverend A W Parfitt, whose wife and daughter are sitting in the front pew. 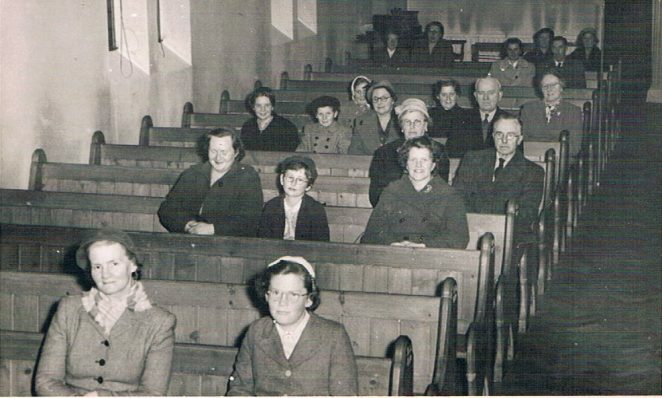 Others I can identify are Mrs Sands and her daughter Daphne behind them to the right and in pew 7 Mrs Blunden, her daughter, Elizabeth and myself with Alice and Percy Walker in front of us. Do you recognise yourself or anyone else here? Please leave a comment below.